If you have read my blog on “Do I Really Need To Cleanse, Tone & Moisturise” you’ll know that I have my absolute favourite skin care products that I stick to and I’m rather OCD about it! For a number of years I have used my favourite No7 skincare range and was more than happy with the results. That was, however, until I was contacted by Tropic Skin Care Ambassador, Helen Johnson. 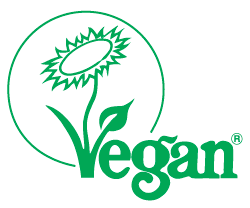 I will openly confess to being very skeptical about these products, as they are not available through department stores and can only be purchased online or through an Ambassador. However, as with everything I’m sent, I always honestly give the product some time to give it a proper review, and I’m so glad I do, as I am well and truly converted! 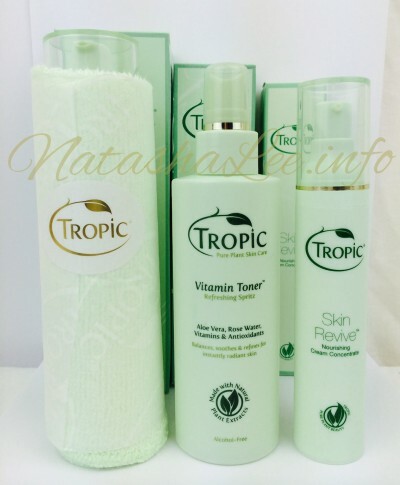 What Is Tropic Skin Care? 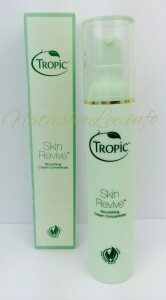 So what is this Tropic skin care that one minute I’d never heard of, and the next it’s popping up all over the place? 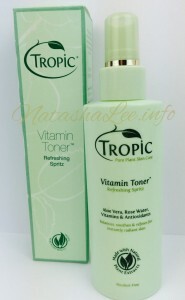 Tropic literally began as a homemade body polish in a jam jar created by Susan Ma, that was sold at Greenwich Market. Now I’m a sucker for a story like this, I love products that have a personal feel to them! It was another 8 years before Susan appeared on TV show, The Apprentice, that Sir Alan Sugar spotted a unique business opportunity and invested as a 50/50 partner. 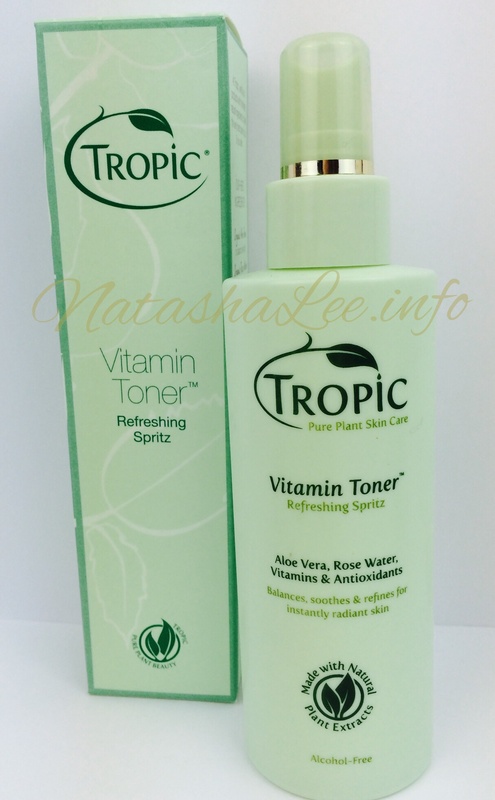 What I like about Tropic, is the ethos behind the company and the quality of the ingredients. 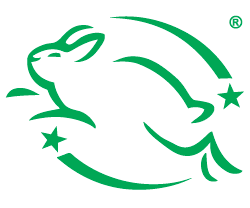 Tropic Skin Care are certified Cruelty Free, Vegan Society Approved & made with natural plant extracts. You can feel the real consideration that has gone into creating the products, and that is rather unique in today’s beauty & cosmetic world. 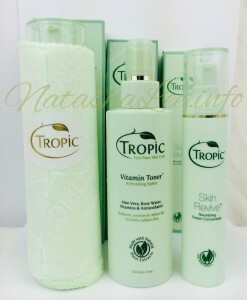 I’m not going to lie, but when Helen personally dropped off to me (I love the personal approach of the Ambassadors) the Tropic Smoothing Cleanser, Vitamin Toner & Skin Revive Firming Nourishing Cream, I was pretty disappointed in the appearance of the packaging. I felt it looked a little bland and cheap in honesty. All of the boxes are identical in appearance, and resemble a budget end supermarket range. I felt a bit perturbed that for the next 6 weeks, I was going to be using these products in place of my tried and tested favourites. Now I say 6 weeks, as I feel that to give a true and honest review of any skincare/beauty products, you need to use them day in day out for 6 weeks to really build an honest and valid opinion on them. As the adage goes though, “Never Judge A Book By It’s Cover”, and never was there a truer statement in regards to Tropic Skin Care, these products resemble the magic of a genie in lamp! On opening the 3 boxes, this product was presented the nicest. 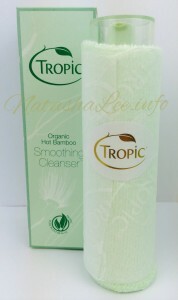 The cleanser comes with a 100% Organic Bamboo fibre face cloth to add a hot cloth element to the the cleansing process. This face cloth is wrapped around the bottle and held in place with a lovely watermarked vellum and gold embossed sticker. The Smoothing Cleanser smells very refreshing and on looking into the ingredients it contains Green Tea & Eucalyptus to clarify and brighten your complexion, while Golden Jojoba, Vitamin E & Avocado nourish & hydrate to leave your skin soft. The information states that it removes waterproof mascara, but I’ll confess that I haven’t tried that yet as I have still used my regular eye make up remover. The Bamboo face cloth is naturally antibacterial and aids in buffing away the dead skin cells and as the face cloth is made of bamboo, it becomes softer with every use and will never smell. Nobody likes a stinky face cloth, so that is a definite selling point! When I first started using it, I wasn’t too sure about it. It was more viscous than I am used to in a cleanser. The guidelines advise if you are looking to remove makeup, then use a couple of pumps over the face and rinse off. Then using another couple pumps apply to the face and neck and using your bamboo facecloth rinsed with warm water, hold over the face for a moment, then remove the cleanser with the facecloth using circular upward motions to exfoliate. 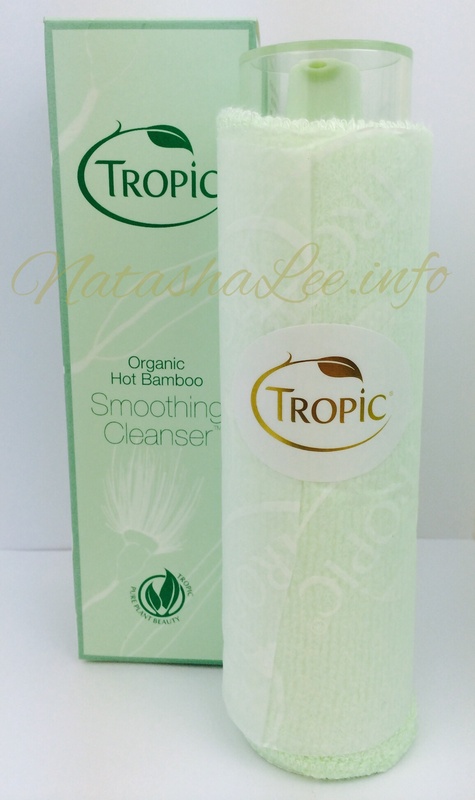 This is also serves to open the pores for a deep cleanse. I thought this would be really time consuming and would go through a lot of product, but I’m happy to report that I’ve added about 1 minute to my 4 minute nightly routine, and after 6 weeks, my bottle still feels really full. The bottle is 120ml and priced at £15, so although it’s a little more pricey than my usual cleanser, it is definitely worth the extra few pounds and it just lasts and lasts. Now a word of advice, I thought I was cleansing very well already, but I obviously wasn’t as my skin had a purge about 2 weeks in. This is normal and results in a slight break out of spots due to deep cleansing so don’t start using it just before a big occasion. It’s worth persevering through those couple of days though, to appreciate the difference in your skin after a few weeks! I’m going to start by saying that product wise, this is my favourite of the 3 that I was given to trial. It smells simply divine and is an alcohol free refreshing spritz, enriched with skin loving vitamins & antioxidants that detoxify, refine pores & clarifies the complexion for instant skin radiance. It contains a beautiful blend of ingredients including Pure Aloe Vera to sooth & refresh; Vitamins A, E & C to boost skin vitality; Cucumber & Camomile to reduce redness and cool the skin and is suitable for all skin types. It also contains rose water and I love that you can smell this when you spritz. The directions advise to spritz onto a cotton pad and wipe over the face and neck before allowing 10 seconds for the tonic to settle on the skin. However, I prefer the feeling of spritzing it straight onto your face and neck as it’s like being kissed by a dozen flower fairies! It would feel even more amazing and toning to pop it in the fridge between uses! Can you tell that I’m rather in love with this product? At £15 for 120ml, again this is a product well worth every penny and I still have a couple of weeks worth left in the bottle. I will say openly, that I severely misjudged this product. The first time I used it I wasn’t too sure about the smell, it seemed mildly citrus. More so than that, I’m used to a rich cream to moisturise and this felt watery and like it sank into my skin too quickly, but I was really wrong and judged it way too quickly. It contains a balance of Rosehip, Shea Butter & Vitamin E to deeply hydrate & soften. Blueberry, Raspberry & Calendula to revitalise & rejuvenate. Echinacea, Sea Kelp & Frankincense to improve skin elasticity & helps to smooth fine lines, and it really does all of the things it promises to. I initially moaned to my husband that I wasn’t particularly impressed with it in the first few days, but it really is unlike anything I have every used before. The fact it soaks so beautifully into my skin means that I don’t have that slightly shiny/greasy finish to my skin, and it is perfect to apply before makeup as it soaks in to your skin so beautifully and provides a fantastic base for your makeup. Priced at £20 for 50ml, it goes along way and I’ve been using it twice daily to moisturise my face and neck, and I still have a couple of weeks worth left in my bottle. 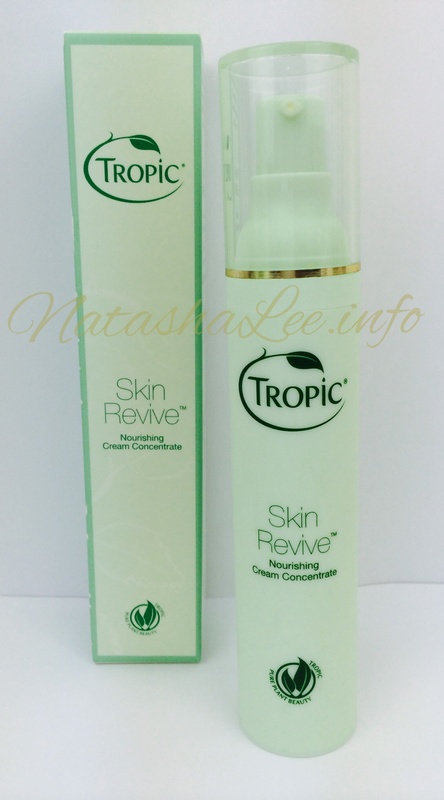 So I’ve been honest about my initial findings of the Tropic Skin Care Cleanse, Tone & Moisturise range, but what was the actual outcome with my skin? Well, I am well and truly a convert. My skin has never EVER looked or felt so good. I suffer from large pores on my T-Zone and these have dramatically reduced and improved in a way that when I apply makeup, it’s like it’s someone else’s skin! After the initial purge breakout, my skin has been so clear, that amazingly I’ve not worn makeup a few times. My skin tone has noticeably evened out and I don’t have so many red patches around my nose and chin, and my skin overall feels significantly firmer, even after a bad night with the kids. I am so in love with these products, that I even squirrelled them in my case for a blogging trip to America and then panicked that my case would get lost and I’d have to go without them for a few days! I still feel that the packaging doesn’t portray the high end of the products, nor the magic that is in each of the bottles, but I understand after reading into the company why they have designed the packaging this way. I just wish it looked a bit more special so I could display them with satisfying pride!